Based in a professional standard studio within the Students’ Union (SU), and broadcasting a little bit of everything, from discussion shows to an eclectic mix of music, Fuse FM has a reputation for high quality student radio. I spoke to the people behind two of the many shows on what goes into creating radio content, and the importance of student radio. 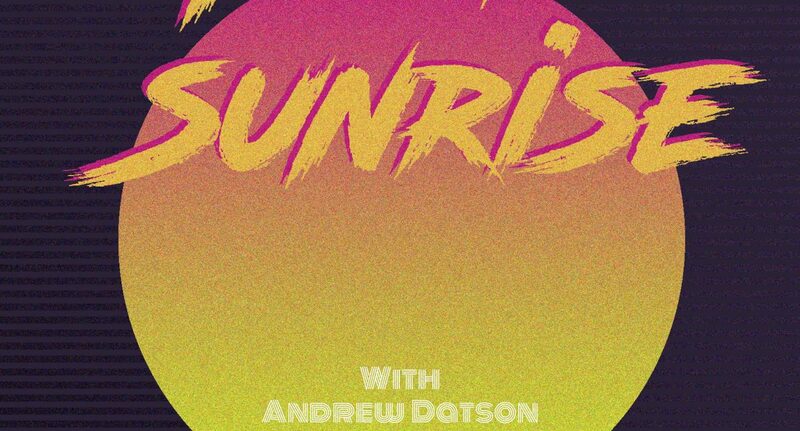 A fun part of student radio is the show names, and Neon Sunrise has a story behind it. “We wanted to get the word neon in there somewhere as a nod to our love of tech-culture and cyberpunk-synthwave music, which underpins many of the musical themes in our episodes,” they explain. Sunrise reflects the early morning slot of the show and functions as a metaphor for bringing this excitement for new things, and nerd culture out into the open. Like a lot of student shows, it resulted from a conversation between friends with lucky timing. “We were literally having a conversation about comics and games; and found it pretty entertaining. Alex turned to me and said: ‘This is funny, it could be a radio show'”. Highlighting the variety of shows on Fuse FM, I also spoke with Adam and Ollie from The Hour of Power, where they play as many ‘bangers’ as they can squeeze into an hour. They met and bonded over their shared music taste in halls during first year and thought about starting a show together, but due to timetabling issues they had to wait until this September to go on air as a duo. “We’ve always been the DJs of the living room, so being actual DJs was the next logical step,”. They have one requirement when it comes to choosing a song: “Is it a banger?”. “We like the idea of having all the week’s tracks linked in some way, but typically it tends to be songs relevant to that week,” they explain. “We do try and have at least a couple of songs related somehow — how tenuous the link is depends on the week!” they tell me. The Hour of Power is not just limited to music though, and Ollie and Adam also chat about their football team Little Court Veterans, made up other friends of theirs. Each week Man of the Match gets to choose a song for the pair to play on the show, and although they admit they were worried about some teammates’ questionable music tastes, so far their selections have been good. They both agree on the huge benefits of student radio to any aspiring DJ, pointing out that many professional broadcasters began their careers at university. “As much as Ollie and I would love the idea of seeing our names in shining lights as professional DJs (on the airwaves or on the turntables) in the future, we’re not holding our breath,” they admit. However, student radio is not just about your CV, as they have found, “More than anything we’ve found that hosting the Hour of Power for the past seven weeks has been great fun for us, and we it really is something we look forward to every Tuesday — we hope the same is true for our listeners!”. For them the best part about hosting a radio show was getting texts in from listeners. Whether friends or family, constructive or complimentary comments, even if it’s a simple request for a shout out; the fact that their friends enjoy listening to them playing their favourite songs means a lot. Keep up to date with Fuse FM via their Facebook page.